Whether it’s eggnog or mulled wine, there are certain drinks that have become signature for the holidays. Not only are they festive but they also keep everyone warm on a chilly winter night when gathering together in the spirit of the season. But, even though these rich drinks may taste complex, that doesn’t mean you have to spend all day in the kitchen perfecting them. Here are some ideas for a few holiday favorites using easy recipes that still leave time for all the important stuff during the holidays. Few drinks are as synonymous with frosty, snow-capped mornings than hot cocoa. Whether you like your mug plain or with some marshmallows and whipped cream, there are plenty of ways to personalize this drink to appeal to everyone’s tastes. But instead of reaching for those instant packs, which can be convenient but also loaded with excess sugar and artificial flavors, make a truly homemade batch using some raw cacao powder, coconut milk, and a little honey to sweeten things up. Your guests will rave at how incredible these drinks taste—you might even consider layering the ingredients for these recipes in mason jars for a tasty gift they can take home. Just because it tastes great doesn’t mean hot chocolate has to be bad for you. This nourishing recipe combines raw cacao powder (the purest form of chocolate that’s full of antioxidants and essential vitamins and minerals) with the tropical flavors of coconut oil, coconut milk, and shredded coconut—all rich with good-for-you fats. A dash of honey sweetens the mix while some cinnamon adds a spicy kick. Spicy is also a good word to describe this unique twist on the classic drink that features cayenne pepper and cinnamon. In addition to a base of raw cacao powder, this recipe also blends in maca powder—an Andean superfood used for centuries to improve energy and vitality. It also offers a sweet butterscotch note for even more depth of flavor. Use hemp milk (or another non-dairy substitute) to make it extra creamy. Fall may be over but that doesn’t mean you have to give up on that apple obsession. 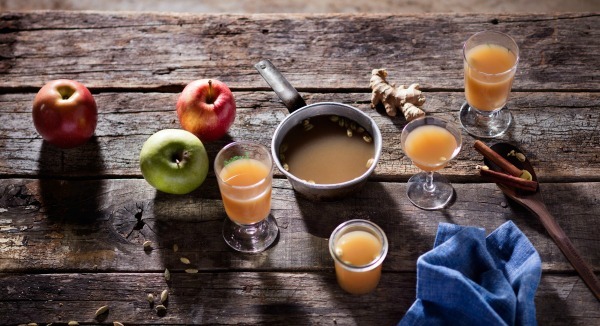 Warm apple cider also translates into a merry and bright holiday drink, too—especially when you add mulling spices or some “adult” flavorings to make it more like a hot toddy. Plus, the raw, unfiltered apple juice used to make cider is super healthful, packed with flavonoids, polyphenols, and antioxidants that can ward off disease and reduce the signs of early aging. While you could make your own at home, doing so is risky because it can easily ferment and actually produce an alcoholic drink. Many markets and stores offer bottled versions that are much more convenient and safe. But, to get the most out of your cider, look at the label to make sure the product is all-natural, fresh-pressed, unpasteurized, and uses 100 percent juice with no added sugar. Once you have a bottle, then try your hand at this unique recipe. Two popular flavors combine in this warm drink—chai tea and apple cider. The spicy notes of chai come from using ginger, cinnamon sticks, cardamom pods, cloves, and peppercorns. Just pour the cider into a slow cooker and then add the rest of the ingredients and allow to simmer for four hours—doing so allows you to set it and forget it, and will also fill your house with all those familiar seasonal scents. Eggnog: People either love it or they hate it. But for those that can’t get enough, few drinks can ring in the holidays in quite the same way. In fact, the classic drink actually dates back as far as the 14th century when it was a cocktail known as posset. Over time, eggs were added along with alcohol, spices, and other flavors. Traditionally, the drink focuses heavily on egg whites, which are pasteurized to kill off harmful bacteria, but it can still present an issue for vegans or anyone watching calories or cholesterol. Traditionally, one cup of eggnog has been known to contain upwards of 350 calories and as much as 149 milligrams of cholesterol—more than you’d get from a cheeseburger, fries, and a soda! As such, it’s best to enjoy in moderation, and having a more healthful recipe like this plant-based one is always a great idea. Blended chia seeds stand in for eggs in this vegan recipe, which also features nutmeg, honey, and vanilla extract for all the familiar flavors and almond milk to make it extra thick and creamy. The real standout, though, is lucuma powder. This Andean superfood not only has a sweet maple bite that adds to the festive flavors, but it’s also super potent in levels of carotene and B vitamins, as well as niacin, iron, and calcium. Let’s be real—while the holidays are a time of joy, they’re not always the best time for silent nights. So when you need to muscle through the gift shopping and home decorating and marathon baking, here are a few caffeinated options that provide a boost with natural energy enhancers—while always tasting great. Candy canes and chocolate unite in this frothy latte that combines brewed coffee, coconut milk, cacao, raw honey, and peppermint extract. Just add all ingredients to a high-speed blender and mix well. In less time than it takes chestnuts to roast on the open fire, you can whip up this hazelnut latte in a closed blender. Open a jar of hazelnut butter and grab a few tablespoons to mix with pitted dates, raw honey, cinnamon, vanilla, and brewed coffee for that extra bolt. 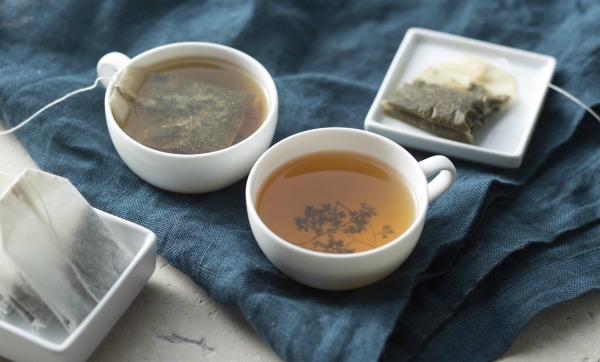 If you’d rather simmer down than power up, you might try one of these warming tea drinks instead. The therapeutic herbals will bring peace of mind along with all the wishes for peace on Earth with calming and restorative properties to help you get through the holidays—even with all the in-laws. Oranges are an old holiday tradition that originates with the story of St. Nicholas—the patron saint of Christmas was once a wealthy man that devoted his life to helping others. The fruit has become symbolic of the gold he would often give to people in need. This Lavender-Orange Tea not only fits in with that holiday legend, but also helps to dissolve all the holiday stress as well. To make, combine dried lavender flowers with water in a small saucepan, bringing to a simmer over medium-high heat while stirring constantly. Once simmering, remove from heat and strain the lavender flowers out of the liquid using a fine mesh sieve before serving with a fresh orange slice in each mug along with a teaspoon of honey. This warm tea combines florals, fruits, and spices in one mug. At the heart is pomegranate, a symbol of good fortune and prosperity in Greece where it’s frequently used in holiday displays. Making this drink takes around 20 minutes for four to six servings, providing you with a foolproof holiday party choice. To create, combine hibiscus tea, finely chopped ginger, a cinnamon stick, pomegranate juice, and water in a large pot over medium-low heat. Once steeped, separate the liquid from the solid elements, pour into mugs, and add honey to taste. A basic cup of chai tea is also a holiday favorite with seasonal notes of cinnamon and cloves. To make, place one chai tea bag in hot water, and allow to steep for five to ten minutes depending on preferred strength. 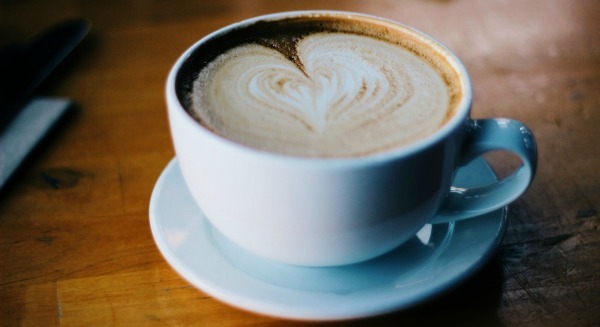 Drink plain, or add milk and sweetener to make a creamy, slightly sweet latte. It’s important to remember that temperature really does matter when it comes to making warm drinks of any kind. 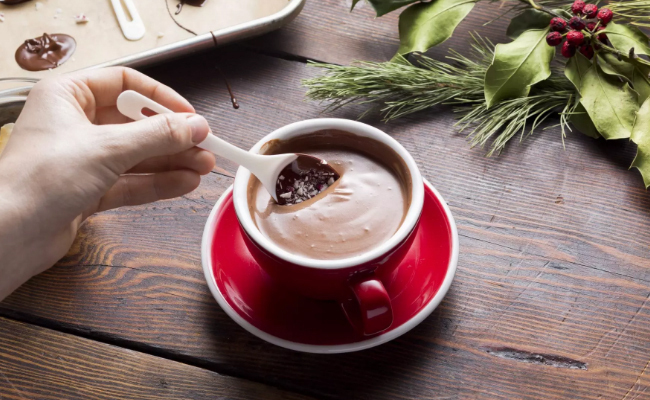 Traditionally, temps around 160 degrees Fahrenheit are used for hot coffee and tea—anything too hot can scald tongues (especially when it comes to serving the little ones hot cocoa), while too cold will make it less enjoyable than intended. Recent studies have actually found that the preferred temperature of warm beverages is around 136 degrees Fahrenheit. Also know that boiling can ruin some of the flavors in drinks like cider or eggnog and should always be avoided when preparing these options. Instead, simmer over a longer period of time to ensure optimal taste. Using a slow cooker can also ease the process and lead to the perfect results.